The Illinois State Board of Education (ISBE) has a program to recognize outstanding school board members, administrators, staff members, and teachers, and application forms are now available online. Those Who Excel is a statewide program that annually recognizes contributions to all Illinois schools. 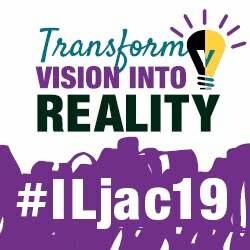 Nominations may be sent electronically to jseiler@isbe.net or printed and mailed with required materials to: Communications, ISBE, 100 North First Street, Springfield, IL 62777-0001. All nominations must be received electronically (by close of business) or postmarked by Monday, June 3, 2019. This year’s Those Who Excel banquet will be held Saturday, October 19, at the Marriott Bloomington-Normal Conference Center. Call ISBE’s communications office for more information at 217/782-4648.